The end of January is upon us… and with that my birthday week arrives, too! This week, there are many great arts and cultural events in the city. With so much to choose, my birthday week is going to be very fun. Here are a few suggestions for you, so you can join in the good times while supporting local artists. How Far Is Too Far? 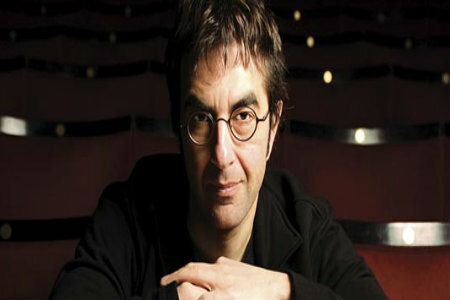 Atom Egoyan discusses his directorial interpretation in selected opera productions. Pairing classic films with enticing live performances from the very best of Toronto’s bustling burlesque scene, Ladies of Burlesque celebrates the artistry of the form and the sultry vixens of the silver screen that inspire it. One of my favourite local bands, who are great to see live! Their fans are very dedicated, so arrive early to find a good spot. Krisztina Szabo, mezzo soprano, Steven Philcox, piano, and Eric Domville, speaker, perform Xavier Montsalvatge’s Cinco Canciones Negras and Luciano Berio’s Quattro Canziones Popolari. The real world must be filtered through the human brain’s responses to reality, and thus it acquires a human interpretation. Today, there is a growing interest in the convergence of art and science. This exhibit examines scientific art and artistic science. This is a touching drama about a man who finds meaning in his life through children who need him. The film is the Finnish entry for the Academy Awards 2016 (Best foreign language film). This is a musical comedy with an all-star cast and a five piece orchestra. The show follows the conventions of a scripted production but is completely improvised, dictated by spontaneous audience suggestions. As part of my birthday week, I am aiming to attend some of these events this week. Hoping you get to partake in the fun as well!